Mere days after Nvidia announced a holiday games bundle that pairs Ubisoft’s most hotly anticipated titles with new high-end GeForce GTX graphics cards, AMD’s striking back by offering a free copy of the absolutely stellar Civilization: Beyond Earth with its top-tier Radeon hardware. But here’s the truly interesting twist: This promotion is separate from and can be combined with AMD’s existing Never Settle: Space bundle, meaning that buyers of a new Radeon R9 290, R9 290X, or dual-GPU R9 295X2 can walk away with Civilization: BE and three additional games of their choice. Whew! AMD’s also announcing a new, overclocked variant of its flagship R9 290X graphics card that doubles the previous amount of onboard memory to a full 8GB, making it better suited for Civilization: Beyond Earth’s thirst for GPU framebuffering—and amplifying what was already a strong suit for Radeon graphics cards. The story behind the story: The recent introduction of Nvidia’s GTX 900-series graphics cards threw AMD’s Radeon lineup for a loop. The Radeon R9-series graphics cards are more than a year old and lag behind the GTX 980 and GTX 970 in both power efficiency and pure performance at common resolutions. Since then, AMD’s been fighting back with the tools it has at its disposal: steep price cuts, abundant free games, and gaming performance at ultra-high resolutions. 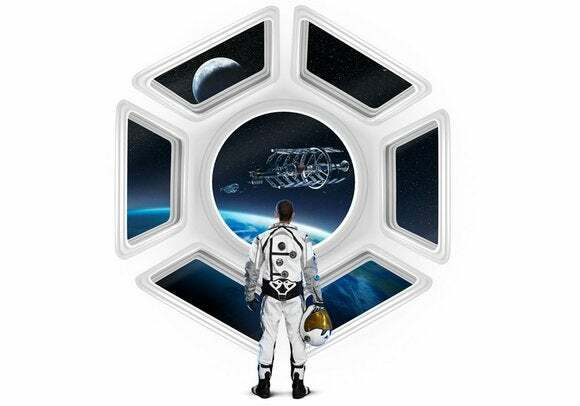 Much as the recent GeForce game bundle focuses on titles built using Nvidia’s GameWorks technology, Firaxis worked closely with AMD during the development of Civilization: Beyond Earth. The game utilizes AMD’s performance-boosting Mantle API to do two things: increase frame rates in traditional PC setups by optimizing how the CPU talks to the GPU, and create a smoother gameplay experience in multi-card Crossfire setups by using a “split frame rendering” subsystem. This subsystem assigns each graphics card a portion of each frame to render, rather than having the cards alternate rendering of entire frames, as is the norm. An AMD slide deck about the benefits of Mantle. Civilization is one of the biggest names in PC gaming. Working so tightly with Firaxis and being able to offer this giveaway is a major win for AMD. That goes double when you consider that new Radeon R9 290-series buyers will still be able to select three free games of their choice from more than 25 available options as part of the Never Settle: Space bundle. Considering how cheaply AMD’s top Radeon cards are selling for these days, and that the Space bundle includes killer games like Alien: Isolation, Sniper Elite 3, Darksiders II, Saints Row IV, and Star Citizen, you could walk away with an awful lot of gaming goodness for an insanely compelling price. Civilization: BE and Alien: Isolation alone retail for $60 a pop, and you could grab two more games beyond that. Double the memory, double the fun? The AMD Radeon R9 290X reference card. Playing off Civilization: Beyond Earth’s heavy use of GPU memory, AMD’s also announcing a new, overclocked R9 290X variant with 8GB of onboard RAM. While Nvidia’s new GeForce GTX 900-series graphics tend to triumph over AMD’s top single-GPU cards at 1080p or 2560x1600 resolution in our tests, the Radeon R9 290X actually holds the upper hand in many gaming tests conducted at 4K resolution, or across multiple monitors using AMD’s Eyefinity technology. A graphics card with flat-out more memory essentially offers the ability to handle higher antialiasing settings at ultra-high resolutions. In other words, doubling the R9 290X’s memory from 4GB (formerly the maximum) to 8GB only strengthens AMD’s advantage on pixelicious monitor setups—though if you’re gaming at 4K you’ll probably want a pair of the cards in a CrossFire setup to keep frame rates up to snuff. The official details are fairly light. AMD would only say that Sapphire, PowerColor, and MSI will be the initial hardware partners, with a soft target MSRP of $429. That seems like a hefty markup for memory considering that 4GB R9 290X graphics cards are selling for as low as $300 these days, but hey, if you’re rocking a pricey 4K display or a multi-monitor setup, twice the memory might just be worth the money. 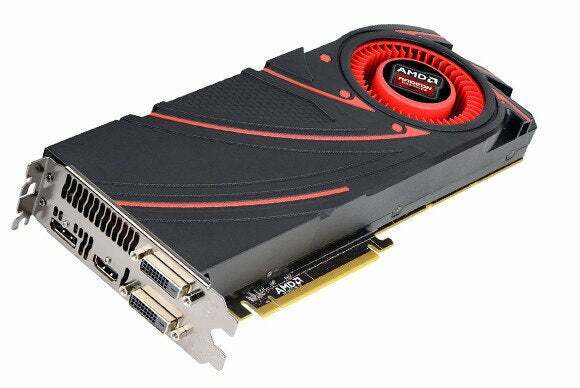 The arrival of overclocked R9 290X graphics cards with double the onboard memory has one more bit of significance: If AMD's partners are rolling out new flagship variants in November, I'd be shocked if the next generation of Radeon GPUs surface before the end of the year.